Show number 147 and with tow of us out in real life, Our very own Geek Gal Steph is with us tonight. Weekly Roundup Uber takes on the cabbies in NYC and WINS. 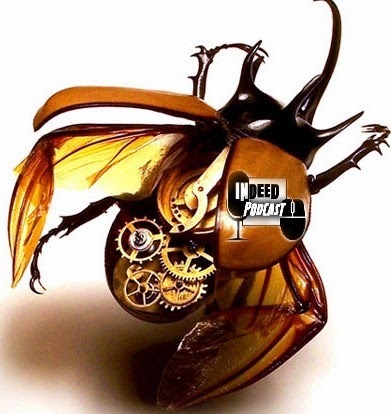 Radio Shack pimps you out as well as needed laws for robot interaction and Wikipedia gets something special and they take it away.. Creepy or Cool: Steampunk Bugs. Yeah, it's that cool, unless you add in spiders. SAY WHAT: The 40 hours Hearthstone turn. We though Civ V was bad. GAME REVIEW: Two games. Steph takes us through the final stuff for Heros of the Storm and Chris gives you some first insite of Cities: Skylines. Parting Thought The return of X-Files, good, bad or crazy. We chat about it and we want to know your thoughts too. Indeed show music is from Pop Overkill.